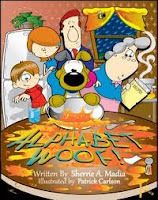 The Crazy Bookworm: Childrens Book Wednesday: Alphabet Woof! About The Book: Moxy the dog eats some magic soup that makes wishes come true. His wish? to talk! This wish takes Moxy and his family on some crazy adventures. My Thoughts: This was a wonderful children's book. I loved the writing style, most of it was done in rhyme. The storyline was very creative, I have never come across a children's book like this one. The character cast was great! I love Aunt Mabel and Moxy. The illustrations were well done, bold and bright. What child wouldn't love a magical adventure including a talking dog? I hope there are more adventures to come involving Moxy and his Aunt Mabel. This book should be on every child's bookshelf! 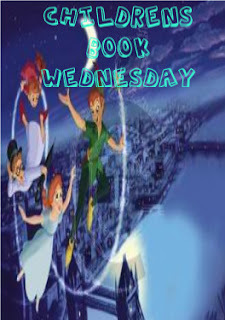 I'd love to participate in Childrens Book Wednesday. Is it ok if I use your graphic and link back to you as the host site for the feature?